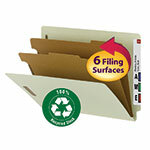 Create a file within a file with Smead end tab classification folders. 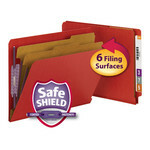 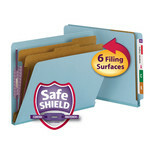 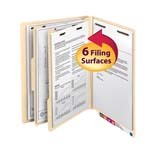 Available with up to three dividers, you can divide and secure important documents into as many as eight categories. 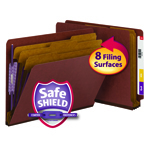 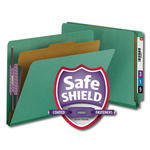 Choose sturdy pressboard with SafeSHIELD® fasteners for the ultimate in security and comfort.